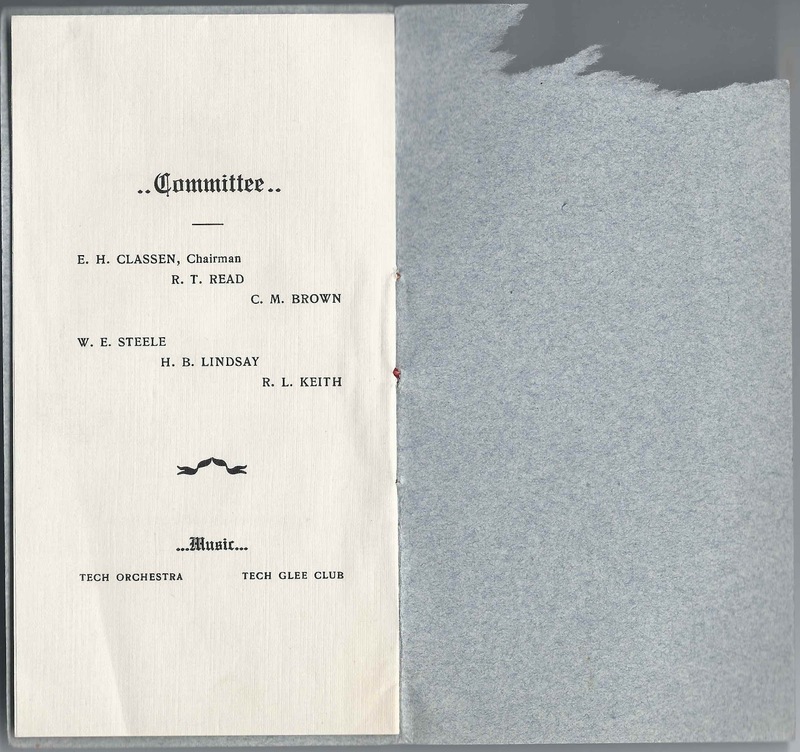 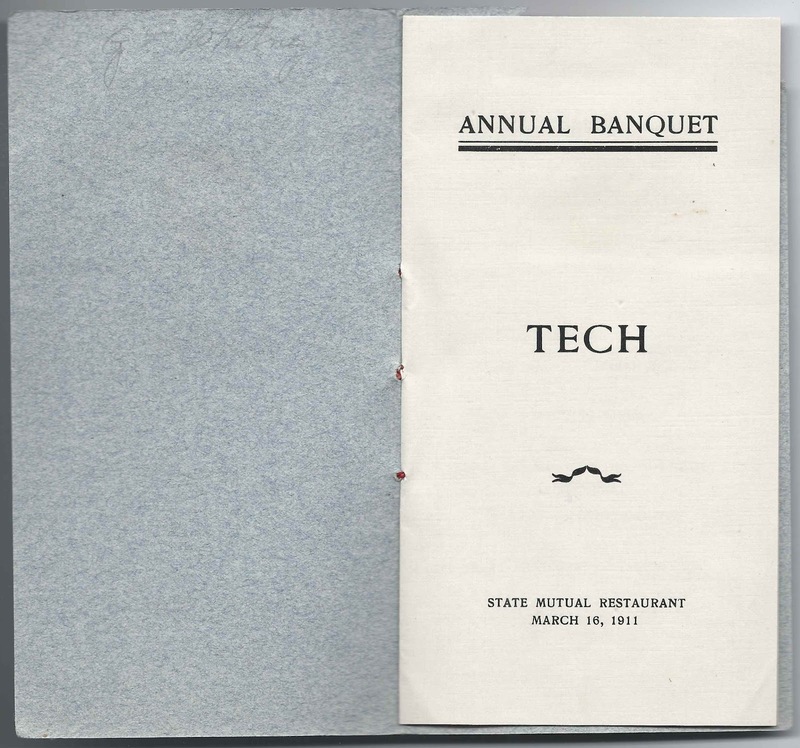 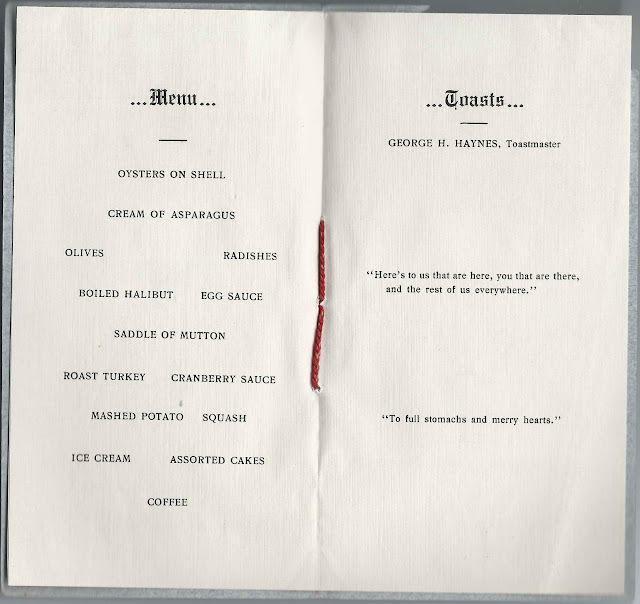 1911 program for the Annual Banquet of TECH, presumably related to Worcester Polytechnic Institute at Worcester, Massachusetts, as it was found with other items from WPI (search the Heirlooms Reunited archive). 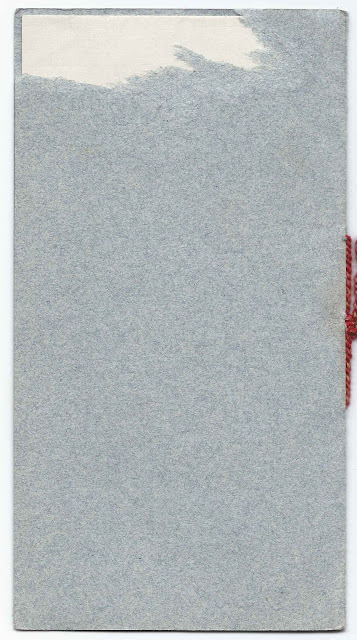 The inside front cover has a handwritten name at top. I believe the owner was Guy F. Whitney, Class of 1912, whose home town was Hartford, Connecticut, and who was mentioned in another of the items, the January 1916 issue of the "Star and Crescent", published by the Epsilon Deutron chapter of Phi Sigma Kappa at Worcester Polytechnic Institute. 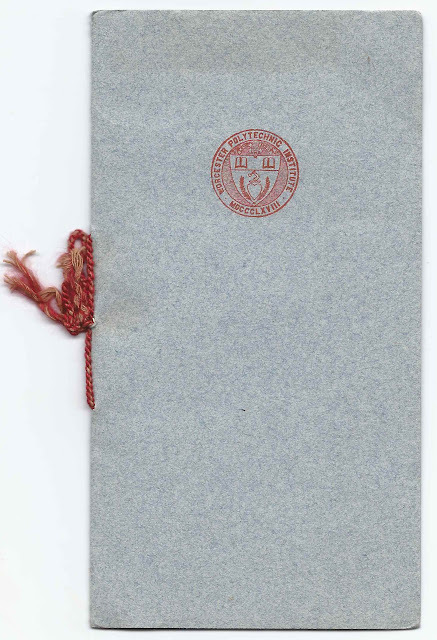 The program is comprised of an outer cover of blue and 4 panels of text inside. It's approximately 7"x 3-3/4".